I first joined the Rally Sport Region Porsche Club in 2007 after I inherited a 996 from my father. My brother handed me a copy of the performance driving bible, Speed Secrets, and said, “if you’re going to drive that Porsche, you should learn to do it properly.” Sportscars and race tracks were about as foreign to this mother’s life as they could possibly be, yet I decided to join the Porsche Club of America (PCA) and sign up for a performance driving session. It was love at first lap. A group of members took me under their wing and made me feel welcome as I figured out my way around. Just like that, on a whim, I had stumbled upon a community that would end up becoming a big part of my life. The first two years I spent with the RSR crew were instrumental in the re-discovery of joy in my life, and the last six have been no less enjoyable: filled with caravans driving to drivers’ education (DE) events, wet track days, turtles crossing tracks, someone stopping on track for a duck, celebrated faste laps, some driving mishaps (never lift in the turn! ), off-season karting, shared car parts and many meals after long days behind the wheel. It was through my participation in RSR that I met my husband, who was (and still is) the chief instructor and track chairman for the club. Over the last decade, we have made many dear friends within the group and by now we all fit together with the ease of long-time friendship. We can show up at an event after months of not having seen any of our RSR friends, and we all fall right into place, taking up where we left off. Thanks to our car friends, I have come to understand the unquantifiable value of community and the different light each of the communities we participate in shed on our lives. While our older, established group of friends can offer a comfortable fit, there is also new community – that which draws you out of your shell and forms around you as you discover a new passion or return to an old hobby, and perhaps offers you a different perspective on ideas you may have become too comfortable with. 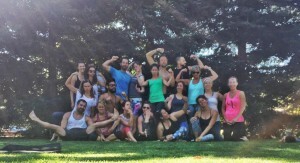 Our spirited yogi community at MacKenzie Miller’s yoga retreat in Napa, CA. 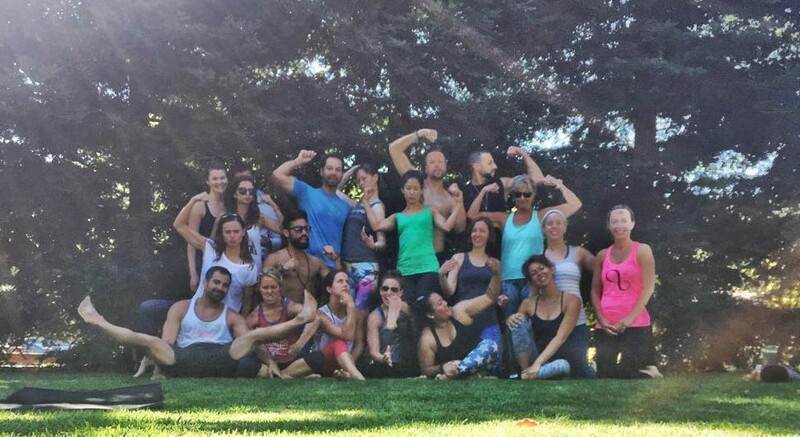 Three weeks ago, my husband and I attended a yoga retreat led by MacKenzie Miller in Yountville, CA. Though my husband is pretty easygoing, I had to do a bit of convincing to get him to attend. Just as in the world of driving, there are preconceptions one has about the world of yoga (will everyone’s practice be better than mine? Will everyone be half my age? Will we have anything in common with 20 new people?) The weekend turned out to be a great experience. There were 21 of us, aged between 24-42, and while there were various personalities represented, including several introverts, we quickly bonded over love of the practice and zeal for life. The group’s laughter and enthusiasm was contagious, and quickly drew me out of my introvert shell and put my husband, who was new to yoga retreats, at ease. By day 2, he had whispered, “if this is what yoga retreats are like, I’m in!” And just like that, we had a new community. We all live with a set of preconceptions within us. To a degree they keep us safe, but in large part they are leftovers of our parents’ efforts to pass along their belief systems including prejudices, ideas about culture, right and wrong, race, etc. All of these preconceptions color how we approach people and events when we first meet them. Trying out new things and taking the time to know new people helps us keep our set of preconceptions fresh instead of letting them keep us from growing. Our group of yogis contained a wonderful mix of backgrounds and various personalities we might not have met outside of the retreat. A community formed very quickly – almost artificially so – where people weren’t just supportive during our daily morning practice, but also willing to share their mats, wine, meals and stories. The yoga would have been fine on its own, but our newly formed clan made it exceptional. Al at the helm of his beloved Rehagen Mustang. Last week our RSR community lost a long-time member and friend, Al, after a battle with cancer followed by an accident. Al was a huge personality (vs. having a personality – he was one) both in and out of the car. Outside, he was jovial and friendly, while behind the wheel his competitive persona took over. Al was inseparable from his friend Tom, who had become his wingman. Together they were Maverick and Goose, with Tom serving as the calm to Al’s energetic storm behind the wheel. Al loved horsepower and needed Tom to be the voice of reason in his helmet, and Tom always obliged. Days before Al passed away, he came out to RSR’s 3-day driving event at Grattan Raceway. I had not seen Al in well over a year, and it was immediately clear he was ill. While he moved slowly and laboriously, so unlike his usual energetic self, it was immediately obvious that his spirit was very much there. He had his Rehagen Mustang with him, and Tom by his side to ameliorate his relentless attempts to find more speed. Our community could not ignore that this was most likely Al’s last track event (it turned out it was). There were plenty of questions and damp eyes. Some wondered why Al had come at all, but most of us knew why. Al had come to the track to live, and he was doing exactly that. We felt privileged to be there with him, to hold space for him and for eachother. On the same weekend Al came to the track and we prepared to say goodbye, Mike and Estella introduced their 15-week-old baby, Henry, to our clan. In between these two bookends fit the rest of us, somewhere along that lifeline: falling in love and getting engaged, celebrating nearly one or 30 years together, saying goodbye to elderly parents, divorcing, fighting disease, aging, learning. A small world contained within the gates of the race track surrounded by friendship and love of cars, scored by engine noise and scented by the smell of exhaust and brakes. Much has been written about the importance of community, particularly as we age, and I’ve come to understand this very deeply over the last month. At the track, I felt the power of a group walking together through life and all its love, illness, joy and hope. Even if as a group we only intersect a few times per year, we have history together, and there is much kindness and goodwill in this group of people. I am grateful for that day when I decided, on a whim, that joining a car club would be a good idea. In the days that followed our track event and Al’s decline, our track group bonded together for updates and support. Although undeniably sad, it was beautiful to come together to live through these moments that not a single one of us will escape. Participating in the rituals of community and witnessing the lives of others progress allows us to live more consciously and deeply. Witnessing death helps us live in the now, with more gratitude and awareness that all of this is life – and all of it is fleeting, a gift, brief – and best shared with our tribes. Death may be inevitable, but with community, it is made more tolerable. 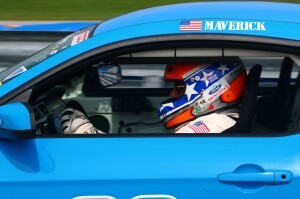 Al rode shotgun at my husband’s races last weekend. Continue to build your communities, wherever you are and in whatever realm you find yourself. In memory of Al Wright, a.k.a. 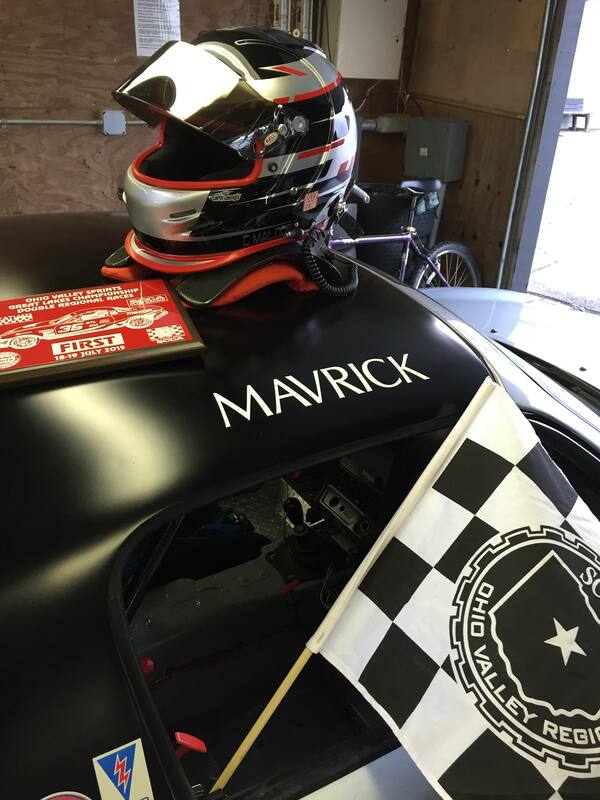 Maverick.